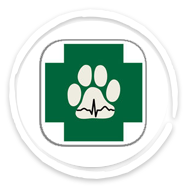 Our mission is to be the premier veterinary hospital in Northern Arizona by providing quality, progressive veterinary medicine in a clean and modern Flagstaff veterinary facility that meets all the needs of our clients and their pets. 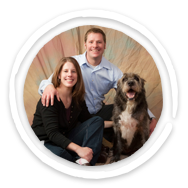 For more than two decades, Canyon Pet Hospital has strived to maintain our practice as the premier veterinary hospital in Northern Arizona. 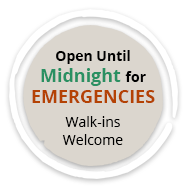 To that end, we are committed to providing you and your pet with the highest standards of medical care and customer service. Our beautiful, 14,000-square-foot veterinary hospital not only provides a warm and welcoming home for the care of your pet, but is also equipped with the most advanced, state-of-the-art technology available. We also understand that having outstanding resources is of little value unless placed in the hands of experienced, talented and compassionate medical professionals. Our doctors and staff meet high standards when it comes to their professional credentials. 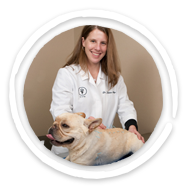 They are also expected to continually expand their medical knowledge through regular continuing education and keeping abreast of the latest advancements in the veterinary field. We are pet owners too, and we understand how important it is to you that your pet receives care within a friendly and welcoming atmosphere where your questions and opinions are respected. We believe that a smile and a friendly hello as you enter our facility means a lot along with our ability to help protect the health of your pet. Fantastic, the staff is so patient with our problem child Wookiee, and they were there when our little Zoey passed.